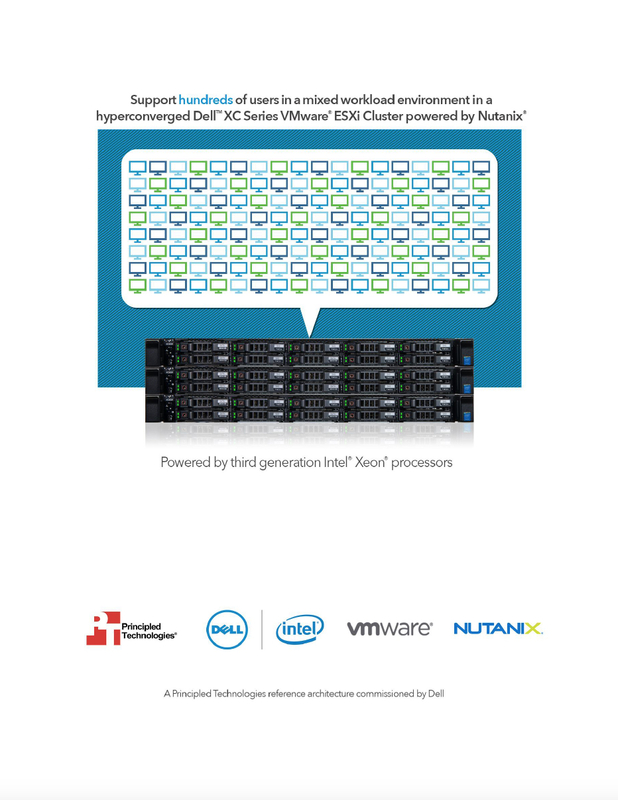 DURHAM, NC--(Marketwired - December 10, 2015) - Principled Technologies (PT) set up a VMware vSphere cluster and a Nutanix storage cluster on three Dell XC630 appliances, and documented the process to make it easier for you to replicate in your own datacenter. PT also tested the cluster with a mixed workload to demonstrate its effectiveness serving hundreds of users. To learn more about implementing this space-saving solution for your own business, read the full reference architecture at facts.pt/1RESjKY. 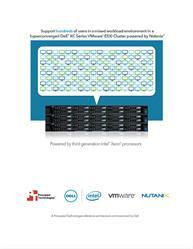 Learn how to set up the hyperconverged Dell XC630.